Today, I’m learning how to generate MIDI files with Perl. So far, this has been a fairly straight forward process. This is most likely due to the fact that MIDI hasn’t really changed since 1983. Here is the guide I’m following. My electronics workstation in the garage has been closed for the winter due to extreme cold. Not that I’ve had the time, anyways. However, the temperature is on the rise, and I’m looking forward to getting back out there. The big goal I’ve set for myself is to make some of my very own eurorack modular synth units. And perhaps by cosmic coincidence, a modular synth enthusiast, who goes by the name of fonik, commented on one of my flickr photos a couple of days ago. This led me to his photos, which led me to www.modular.fonik.de. 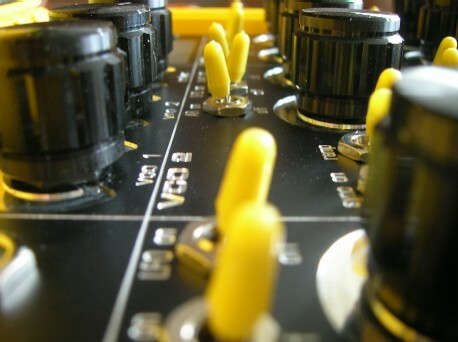 On his site, he shares in detail his custom modules and schematics. Having a DIY guide to follow is exactly what I need. This is the position I’m in today. The fact that he has been able to accomplish so much with in such a short period of time gives me hope that I, too, will be able to succeed in my modular synth building endeavors.